Do you want to display a default image for your WordPress posts? You may want to have a fallback in case you forget to add one. 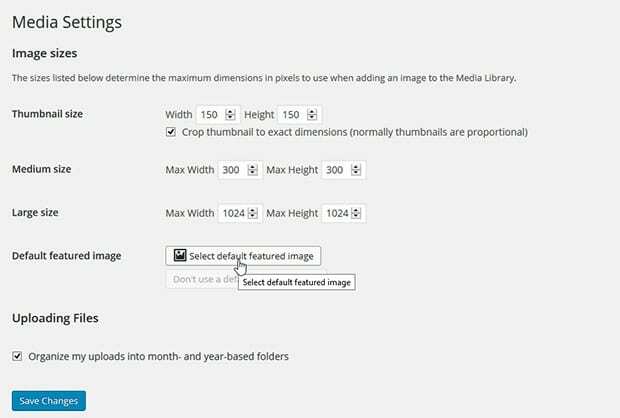 In this article, we will share how to set a default featured image in WordPress. Adding an alternative image will ensure that your blog posts look professional in your theme and when shared on social media, even if you forget to add a featured photo. Sometimes you have a blog post with no images and no featured image, and you want a fallback to be displayed as the featured image for this post. First, open the theme file where you want to add the fallback featured image. It can be any theme file like home.php, single.php, index.php, and more. This code will verify that there is a featured image assigned to your blog post. If there is one available, then that will be displayed. Otherwise, it will display default-image.jpg from the images folder of your theme. Now your post will use the first image as the featured image. However, if a featured image exists, it will display that instead. If you are not familiar with code or want to go the easy way, then you can use a WordPress plugin. Upon activating the plugin, you need to go to Settings » Media and click on the Select Default Featured Image button. Select an image from your computer and make sure to save the changes. This plugin will check to see if there’s a featured image available for your post, and if so, that will be displayed. But if there is no featured image available, then your uploaded photo will be displayed instead. So, default image plugin may be better in this case. You can use it as a starting point and expand if you want custom default images for different post types or categories. i used that plugin Default featured image. its good. What .php could that be? any hint would be greatly appreciated. Thanks.